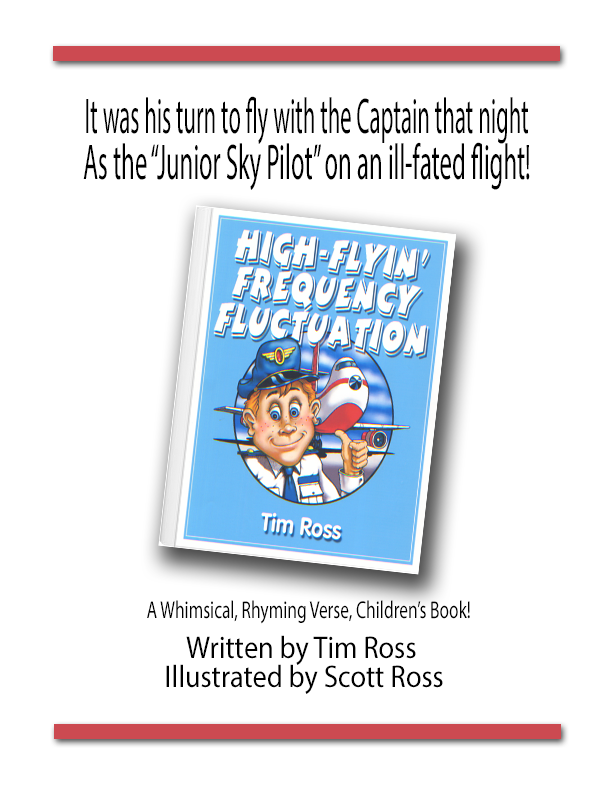 As the “Junior Sky Pilot” on this high flyin’ flight. To observe all the pilots and the buttons they tweak. And soon he would learn it wouldn’t be boring. And radar was showing ahead quite a mess. And evasive maneuvers the pilots began taking. At least Tommy L. won’t forget I would bet! Several bright flashes all lit up the craft. The lights went out quickly, both forward and aft. “KABLAM!” and “KAZOWEE!” was the noise they all heard! The passengers froze— not one spoke a word! “KABLAM!” and “KAZOWEE!” the sounds crashed again! And a plane load of folks thought they’d reached THE END. It scared the bejiggers out of passengers and crew! The bejiggers were scared out of Tommy L. too! Somehow the airplane kept flying just fine. The wings were still on and the engines still whined. Some serious “First-Aid” was definitely needed. Whatever had happened was really too much. The captain was silent, and his co-pilot too. Both had passed-out! What would the crew do? Though Tom was just twelve, he knew quite a lot. With time running out there was no room to doddle. He grabbed the main wheel then squeezed the throttle. ‘Cause he knew that his fuel would last but an hour. “Control!” Tommy called, “This is Flight 62. Wow!— do I have a great story for you! Would you please check the radar for my little blip! We hit a big storm and we’re mighty short handed. I’m going to need help, to get this plane landed. Though checking for damage, I don’t see too much. Tommy was “up” to this test they all guessed! The control tower answered Tom’s plea for assistance. And though he was twelve, there was no resistance. “Tommy,” they said, “We’re all gathered ‘round. We’ll give you some help to bring your plane down. Tommy was shaky and, of course, a bit frightened. ‘Round that ol’ steering wheel his fingers had tightened. To remind them again he had fuel for an hour. But something was wrong with his radio set. The tower he called— but just couldn’t get. He tried once again but he didn’t get through. Without all their help what would Tommy do? But no answer returned through the stormy night air. So once more, with real gusto, he gave a big yelp! The voice from below was now totally missing. Though the signal was scratchy, Tom heard quite enough. With his radio broke it was going to be tough. A clue that would help— of any ol’ kind. Tom checked all the dials and the buttons and switches. He checked on the floor and in the hem of his britches. They searched up above and under the seats. They scavenged around ’til the search was complete. Each passing minute, the crew’s tensions mounted. And with fuel running low, the minutes they counted. As a crew member entered from the plane’s other side. When he glanced at the girl who was in the front row. It was the craziest darn thing the crew’d ever seen. The top of her head was all glowing and green. Each time that Tom talked there were more than before. When the radio’s on, the sparks jump a bunch. Tom talked again, to test out this theory. He’d try anything now, he felt so darn weary. The sparks on her head would start spittin’ and sputtin’! So that was the problem— why Tom couldn’t talk. It’s why, when he tried, he would only hear squawks. Those curlers were causing the problems they’s had. The girl was embarrassed and a little bit mad. “My name is Jill… and you’ve got to be kidding. The crew members assisted this lass in her plight. Her curlers were hot and connected real tight. As a matter of fact, they were stuck to her scalp. “They aren’t coming out!” she screamed with a yelp! Someone suggested that they cut off her hair. But her hair was so pretty, so soft and so long. Her feelings about it were bound to be strong. Those waves had been there since she was just ten. It would take twenty years to grow them again! Jill gave it some thought… and a second one too. She was pretty grown up and she knew what to do. So for a pair of good scissors the crew went a-dashing! She was pretty embarrassed, you could tell she was shaking. All the passengers cheered the sacrifice she was making! When the last of her locks to the floor they had fallen. Once again from below the controllers came calling! The radio worked… it was no longer dead! “Flight 62… are you still flying real high? Though Flight 62’s been a nutty ol’ flight! The radios work and the plane is still soaring. When the radio broke on that ill-fated night. But the flight hadn’t ended, it was high in the sky. “It still has to be landed!” said Tom with a sigh! Talked back and forth ‘bout the things he should know. They talked about gears and the parts of a jet. They talked about things that would need to be set. They talked about brakes and they talked about wings. They talked about speed and the runway and things. They talked about buttons and the dials on the ceiling. They talked so darn much Tom’s head it was reeling. Tom followed instructions from the controllers below. And they had to agree… he was doing just fine. “Flight 62, please bring down your speed. We figure three-hundred is all you will need. The flaps on the wings should be lowered right now. And keep the nose up… a ways anyhow. You’ve two miles to go and you’re doing just fine. Keep your plane pointed at that small center line. Was the very last thing he heard them demanding. Though a small gust of wind gave the plane a quick roll. As the wheel hit the ground you could hear a quick crack! Following their orders, Tom reached for the brakes. He gave a big pull and the plane got the shakes. But soon it was coasting at a very slow speed. Tommy had landed… he had landed indeed. All hurried to Tommy and Flight 62. Loud sirens wailed and the lights were all flashing! Emergency workers were whooshing and dashing! The firemen all asked when they got to the plane. At the thought of the flight they all had just taken. They each gave a hug and to Tommy did say. “Tommy Lattrell, we can’t thank you enough. We know you’re just twelve but you’re awfully tough! And you can’t imagine what we think that is worth. Tommy was the center of all interviews. And featured a picture of him hugging his Mom! And a new bike to boot, and man was it pretty. Wanted to talk… they all wanted more! And wherever he went he stood out in the crowd. But Tommy Lattrell didn’t mind it a bit. From that lofty ol’ perch at the top of the town. Tommy was happy with the luck that he’d had. With things going so well he could’t be sad. The airline sure loved him… Who could deny it? He does well in school. He’s a mighty fine student. And he’s preparing for college ‘cause Tom’s very prudent. There’s one thing for sure he always shouts loudest. I like all my friends, my family and pets. And I sure like to fly those high-flyin’ jets!